A wonderful opportunity to work as a full-time Nanny Housekeeper for a lovely family base in Walsall. They are looking for an individual who can work Monday 9am – 4pm and Friday 9am – 2pm (2 days per week). The role will supporting Mum with some childcare (G3 and B nearly 2), cooking for the family, deep cleaning, laundry, ironing and general household duties. The successful candidate will have experience within a similar role combined with a can-do approach with the ability to work on own initiative. Start date – 28th January 2019 – 30th June 2019 – If the candidate impresses our client, there is a chance for this role to turn permanent. Salary – £8-10.00 per hour depending on experience. Minimum Experience Level for this job: Experience in a similar role. 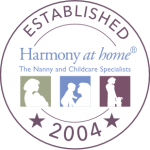 Harmony at Home West Midlands acting as an Employment Agency. To apply for this job please email your CV to: katie@harmonyathome.co.uk quoting KB390 or apply below if you aren’t already on our books! Thank you.